Things are going great! You’re selling like crazy; those numbers keep going up. You’re so busy answering customer service questions, marketing, and growing your business that you barely have time to breathe. It’s amazing! But then the inevitable happens – one of your customers wants to make a return. Returns are enough of a handful when you're selling goods you've got stacked on a pallet in your garage, but how on earth do you handle returns when you're dropshipping and the goods were sent directly to the customer from the supplier? Returns are no fun for any party involved. The customer is upset, you’re upset, and your supplier is upset. However, they are are a crucial part of your business. Handling returns properly can mean the difference between a lifelong customer and an angry one who bashes your company at every chance they get. And, when returns are done well, they can be a blessing in disguise - more about that later! When you're looking at your returns process, there are two areas to focus on: How you prepare for returns before they happen, and how you handle returns when they happen. 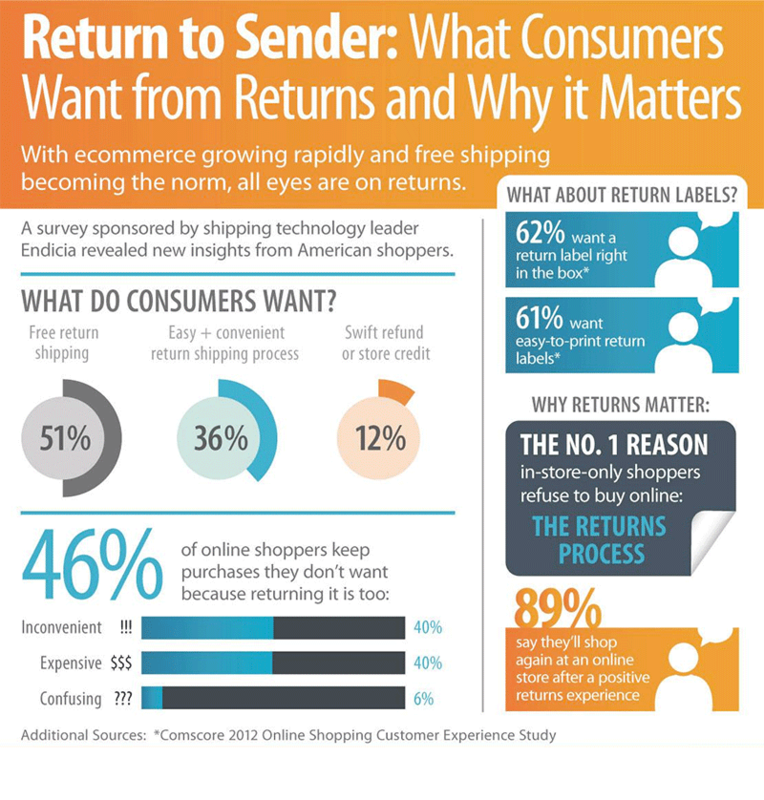 When was the last time you had to return a product? How did it make you feel? How did the business handle your return? How did that make you feel? Would you do business with them again, based on this experience? Just always keep in mind – You’re dealing with real, living human beings. We all want to be treated fairly, and most of us are willing to return the favor when we are. If you remember that, you’ll be fine! There is no solution better than preparation. Before you even begin your dropshipping business, you should have a good understanding of your supplier and their policies.If you already have your business up and running, return to these policies to ensure they’re up-to-date. When working with any supplier, you should always know their policies, as every supplier is different. Because the supplier is shipping directly to your customer, their policies are going to directly affect your policies, which I’ll cover in the next section. If you have multiple suppliers, make sure you know each of their policies. When I say match, I don’t mean literally turn their policy into yours. You should just use it as a framework, and don’t go beyond their window of opportunity to make returns (i.e. if they have a 30-day return window, don’t give them 35). If your supplier gives you a 30-day return window, you’ll want to give your customers 20-25. This gives you and your customers some wiggle room to account for shipping delays or forgetting to send out the box, etc. If you have multiple suppliers, try to cover all of their policies within your policy. For example, let’s say you have one supplier for shirts and they give you a 20-day return period. You have another supplier for phone cases, and they only give you a 14-day return period. You can either specify the separate return policies for separate items, or you can give them a single policy of 10-12 days on both items. Don’t provide a return address on your policy page. Instruct the customer to contact you about the issue, then (depending on what the issue is) you can provide them with the appropriate address. This should be done because you may want them to ship it to you first, rather than straight to your supplier. I cover why in the next section. Only accept returns with a tracking number. The last thing you want is for them to claim they shipped your item, and it magically gets “lost” in the mail. Just make sure you state this clearly in your policy. Tell them the return is nullified if you don’t receive a tracking number. If you need help writing a return policy, Shopify has a list of 9 tips to help you. Just remember the points outlined here, because their guide isn’t specific to dropshippers. If you have multiple suppliers, make sure you know each of their policies. Now that you’ve created a great return policy (or just received a return request by a customer and don’t know what to do), let’s look at how to handle the return process. First I’ll give you some common return reasons and what to do for each one, then I’ll talk about the details of the entire process and run you through the steps. This is so be expected as you obviously can’t try things on when shopping online. I’ve bought t-shirts that were too big or too small before myself (although I didn’t end up returning most of them - my girlfriend loves baggy “sleep” shirts). When this happens, your supplier likely won’t cover the return. Unless, of course, they’re awesome. Again, knowing your supplier’s policy is going to make all the difference. In this situation, I recommend you allow returns regardless of your supplier’s policy. Why? Because stellar customer service will get you customers for life. I would just ask that the customer pays for return shipping, since the mistake wasn’t on your end. You screwed up the product listing. Your supplier screwed up the product listing. You should know which one of those reasons it is. If you enter the listings manually, you probably made the mistake; if you used a data feed from your supplier, then they are the ones at fault. When this happens, if you’re responsible, take responsibility. If you’re not responsible, take responsibility anyway. 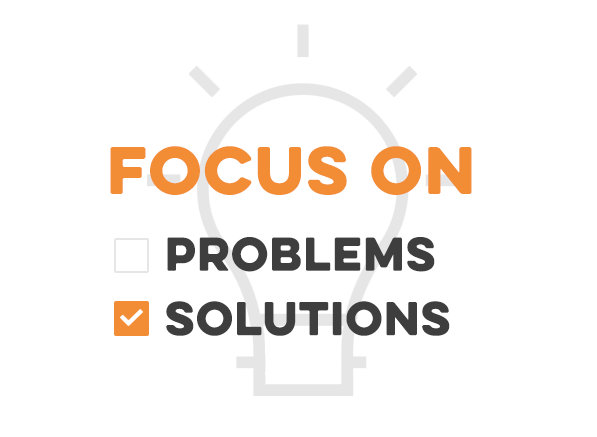 Your solution for the customer should be your priority. How would you feel if you bought something, and the business told you, “Sorry, it’s my supplier’s fault, blame them”, without taking any responsibility or action to solve it? You’d probably never shop there again. If it’s your suppliers fault, hopefully they will issue you a refund or issue the customer a replacement. If they won’t, you may want to start looking for a new supplier. Just make sure you don’t attack your supplier for the mistake. It was probably just that; a mistake. That isn’t to say they are always correct. If they continually disappoint, it’s time to cut them loose. Remember: your supplier is your partner. You don’t want to screw up your relationship by being a jerk. This type of return should be incredibly rare if you have a good supplier. However, they will still happen. When it does happen, make sure you cover all costs to your customer. Don’t make them pay return shipping. Try to get them a return label via email. Make it as easy and painless as possible. I can’t stress this point enough – great customer service is a way to gain lifelong customers. Your customers likely don’t know or care what a drop shipper is. Don’t tell them it’s your suppliers fault. They don’t care who’s fault it is – they just want their money back or their item replaced. Apologize to your customer for the mistake, then immediately follow up with how you’re going to fix it. Action speaks louder than words. Customers who receive amazing service are highly likely to tell people about it, because it’s so rare in today’s big business era. Word-of-mouth marketing is the best marketing because it’s free and effective! Depending on the product to be returned, it might not even be worth having the customer ship it back. For example, let’s say you sell iPhone chargers. The customer bought an iPhone 4 charger on accident instead of an iPhone 5 charger. Because it is such a low-cost item, it might not be worth the hassle of having the customer return it. You may want to just let them keep it and send them the new one. It will barely cost you anything, and they’ll probably love you for it. If you’ve never handled returns with your dropshipper before, or the item is expensive, you may want to have the customer return the item to you rather than your supplier. It keeps your supplier honest. If you see first-hand what condition the item is in, it keeps the supplier from saying it was in better condition or not damaged. It smooths out the process. Handling the return yourself ensures it’s done correctly, which means you can sleep better at night. You get to see the return process first-hand. If you’ve never handled a return with your supplier before, returning the item yourself gives you a better idea of how easy or difficult the process is, and how long it takes. The customer requests a return. You should: Determine the reason for the return, then contact your supplier accordingly and request an RMA (Return Merchandise Authorization) number. Also be sure to apologize to the customer (regardless of whether it’s your fault or your supplier’s fault) and tell them what you’re going to do to make it right. The supplier (hopefully) approves the return. You should: Give the customer the return address and the RMA number (if they’re returning it directly to your supplier). Depending on the supplier’s return policy, you’ll probably need the RMA number on the return shipping label (NOT on the packaging or the shipping box). Remind them to purchase a tracking number, if they have to pay return shipping. If sent to you, you should: Inspect the item for damages and take pictures to ensure the supplier’s honesty. Then ship it to the supplier. If sent you your supplier, you should: Keep in contact to know when the package arrives at the warehouse, then get your refund or have them send a replacement to the customer. The customer will receive the new item, or you will receive a refund. You should: Email the customer to ensure the package arrived OK if they wanted a replacement. Otherwise, if they needed a refund, pass your refund on to them, then email them to ensure everything went well. I hope this guide has helped you understand the return process and how to both prepare for and handle dropshipping returns. If it has, please share it with other store owners who use dropshipping so we can help as many people as possible. I’d love to hear your stories as well! Have you ever had a return that went great? Or maybe it didn’t go so great? Share it with everyone in the comments below. And remember – Returns can be a blessing in disguise. Customers may not remember the time they bought a new doo-dad from your store; but they will remember if they got the wrong one or ordered the wrong size and your company handled it with swift grace, understanding, and kindness. That’s something to tell your friends about.